One of my close friends traveled to her husband’s place last month. I was very surprise and happy that finally she visited the country where her husband is originally from. I thought that it was her and husband that only visited her husband’s home town. I am very happy that her kids went with them too. I see many pictures of them during her trip with her family last month. 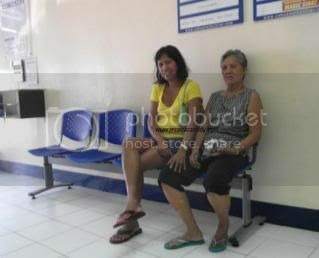 This was their first time to travel as a family to visit her husband’s home town. 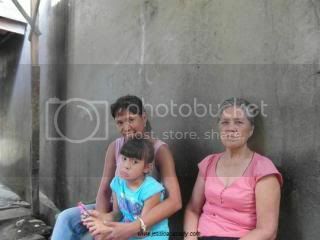 I am very happy that they can finally meet her husband’s family and relatives. I know that she has planned a vacation for a while now. I am glad that it happened the last week. I saw her last weekend. She had a wonderful time during her vacation. I am glad that she is back with her family in New York. It was great to see her and catch up. It has been awhile since the last time I see her. She downloaded pictures in her Facebook page. She shared all their places that her family visited during her trip last month. I cannot believe that Turkey is only a border away from where her husband’s family is. She visited Bulgaria where her husband is originally from. 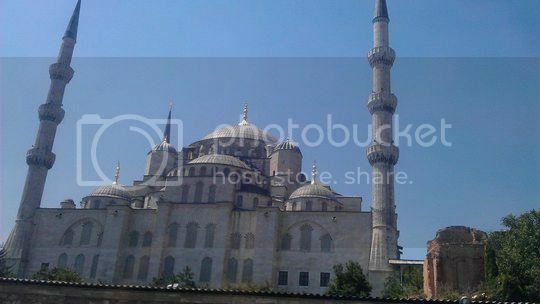 I really like some pictures she took when they visited the beautiful country of Turkey. I really want to explore the temple. I also want to learn about the Turkey culture and tradition. 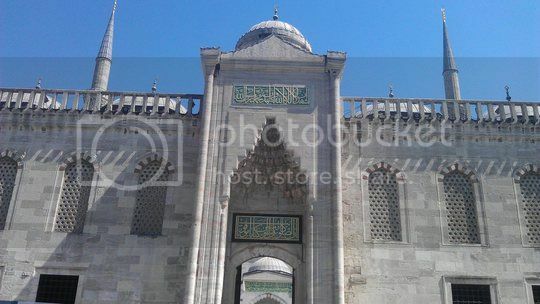 They even wear a traditional head wear just like the typical Turkish people. I wonder where she bought her tickets. 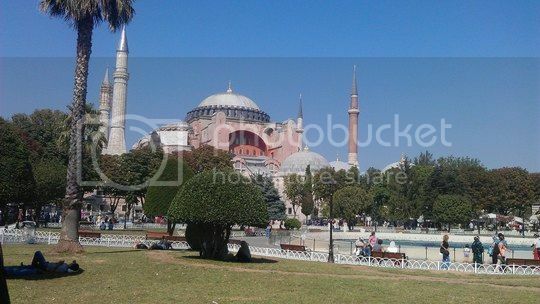 I really like to explore Turkey and check for Turkish Airlines if they have affordable tickets for my family. If you plan to fly with them, be sure to use Turkish Airlines coupon codes when you book your flight to save some money. I am happy that they available route from New York to Turkey. I can also check status of the airlines as well. I will put Turkey in one of my bucket list. I hope that my wish will happen someday. 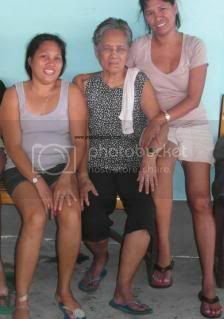 There is no place in the world that I rather be now except in the Philippines particularly in my home town, Cagayan de Oro City. I left my heart in Cagayan de Oro City. There is no place like home. GOD is so great that HE allowed me and my daughter to visit the Philippines. I am not really looking forward for a very long flight. I am thankful that despite of the delayed and canceled of our flights; we arrived safely back home to New York. I spent most of the time with my Mom who I did not see for six (6) long years. I did not visit beautiful tourist spots but I did spend my precious time with the most important person in my life which is my Mom. I am sorry to my friends that I did not spend more time with them. I hope that you forgive me. I will let the pictures describe it for you. Please forgive me for uploading many pictures. 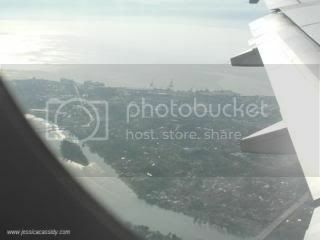 I never forget the moment that I am looking down at my home town, Cagayan de Oro City, up in the air. 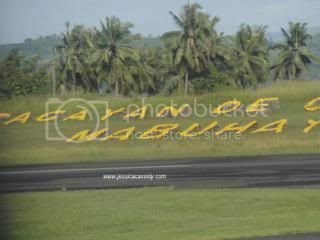 It was such a big relief when our plane, Philippine Airlines, landed in Lumbia airport on the 29th day of June 2012. 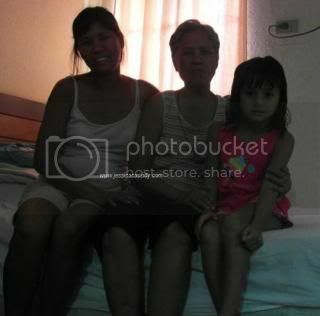 My Mom and my niece P stayed with us in our hotel room. 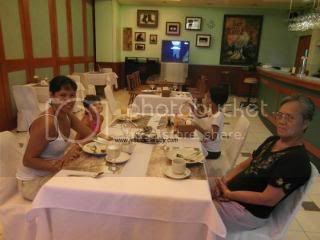 We stayed at Country Village hotel in Carmen. I wanted to stay in my Mom’s house to save some money but my little girl will not allow me. She loves the pool at the hotel we stayed. There is two free complimentary breakfast in the hotel. I let my little girl and her cousin gets the free. My Mom and I choose our own breakfast food. I am very privileged to spend my Mom’s 69th birthday too. 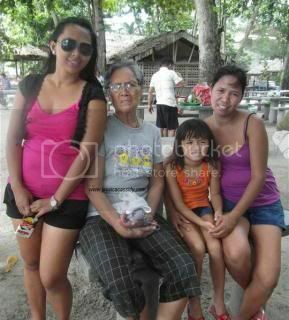 My two sisters flew from Cebu City to spend my niece 8th birthday at Opol Beach. During the morning, I spent my time in my Mom’s house. My little girl met her cousins and meet new friends as well. I am having a hard time using my debit cards to use when we go out. What I do is? I send my Mom some money and the two of us picked it up at a pawn shop. It works this way. I can use some cash. 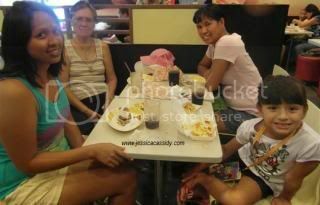 We eat most of the time at Jollibee Vamenta in Carmen with my Mom, my two nieces D and P. My little girl loves to eat pancake and spaghetti. I also enrolled her at a Jollibee Kids club. We went to Raagas beach. The water is blurry because it rained most of the night. My little girl loves the beach. We stayed in my Mom’s room just to talk and spent quality time together. This is use to be my room when I was a teenager. I hope that you enjoy our pictures. They are not beautiful but I am happy that I spent most of our time with my Mom and my family. I am linking this entry to the 5th day of blog challenge. Today’s task is about a picture of somewhere you have been to.